What are the benefits of chia seeds during pregnancy? How much chia seeds can you have during pregnancy? 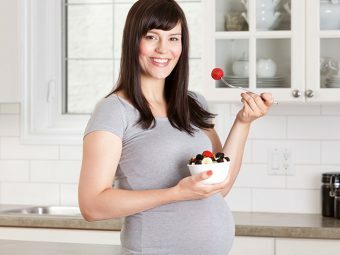 How to consume chia seeds during pregnancy? Along with vegetables, fruits, lentils, and dairy, seeds of certain plants also provide the necessary nutrients for us. Among them are chia seeds, which are used in a variety of cuisines. But how good are chia seeds and in what quantity should they be consumed when you are pregnant? MomJunction tells you about chia seeds during pregnancy, the benefits they offer and side effects if any. Yes, chia seeds are safe to consume during pregnancy, but in moderation. They are high in nutrients and can support a healthy pregnancy. 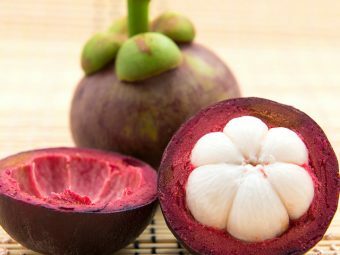 These tiny seeds are often considered a superfood and have been used by the ancient Mayan and Aztec civilizations. However, there isn’t scientific evidence to establish the benefits of consuming chia seeds while pregnant. So it is better to consult your doctor before including them in your diet (1). Chia seeds are highly nutritious and a good source of healthy fats. 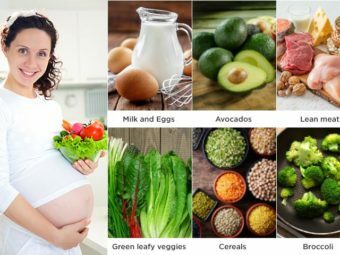 Here are some reasons why you should include these seeds in your pregnancy diet. Exhaustion is normal during pregnancy. Consuming a small quantity of chia seeds can help fight that by boosting energy and endurance (2). Omega-3s are vital for health and development of the baby’s brain. Fish is the major source of omega-3, but its mercury content can be a cause for concern during pregnancy; chia can be a safer alternative (3). You should require about 70g of protein every day during pregnancy for the development of fetal organs and tissues. Chia seeds contain good protein levels, which make them compliment meat, tofu, poultry and nuts (4). Chia seeds are loaded with insoluble fiber that aids digestion (5). It can, therefore, treat constipation, a common complaint during pregnancy. Iron is essential for the production of extra red blood cells that carry oxygen to the body system. Chia seeds are one of the easiest ways to get this nutrient in your diet (6). Cramps are common, especially in the third trimester. Sufficient levels of magnesium in the body alleviate cramps and tension in the muscles. Chia seeds are rich in magnesium t (7) and may lower the risk of premature labor by curbing early uterine contractions. Intake of calcium is essential for the skeletal development of the baby, particularly in the third trimester. Chia seeds contain five times more calcium than milk and are the best alternatives for dairy-free diet (8). What Quantity Of Chia Seeds Can You Have During Pregnancy? You can have about 25g of chia seeds every day during pregnancy. This will meet about 18% of your daily protein requirement and one-third of dietary fiber needs, besides much of energy requirements (9). Although nutritious, chia seeds can pose some risks when taken in excess amounts. There are a few risks associated with chia seed consumption when you are pregnant. Over consumption can increase gas production in the body (11). However, limiting it to the daily recommended amount will not cause any side effects. The omega-3 fatty acids can be beneficial, but can also pose risks to the body. 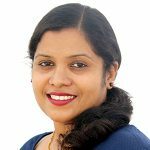 They should not be taken if you are suffering from certain blood disorders or if you are under blood thinning medications because chia seeds cause blood thinning (12). Chia seeds are available both in raw and roasted forms. They are also found in some packaged foods such as cereals, bread, crackers and granola bars. They hold a very mild and nutty flavor and can be added to various recipes. Here are some ways in which you can include chia seeds in your pregnancy diet. Soak some chia seeds in a glass of water and leave it overnight. Consume the water the following day. This makes a perfect summer drink. You can add chia seeds to a variety of sandwiches. You can either add them to the butter on a slice of bread and top it with another slice, or add them to the condiment while making any vegetable, ham or turkey sandwich. Combine the first six ingredients in a blender until you get a smooth consistency. Store it in an airtight container and refrigerate for about 20 minutes. Add toppings of your choice, and also hemp seeds. Combine all the ingredients in a bowl, and mix well. Take about ¼ cup of it and pour the batter into a non-stick cooking pan. Cook for a few minutes and flip over. Cook for some more time and transfer to a serving plate. You can top with anything of your choice, such as fruit, chia seeds, maple syrup or honey. Take water and squeeze fresh lemon in it. Add chia seeds, and sugar or honey to it. Refrigerate the container for at least two to three hours. You will observe the seeds forming a gel-like substance around, which you can readily drink. Mix all the ingredients except the berries. Refrigerate the mixture for at least two hours or you can store it overnight. Top it with berries before eating. 1. 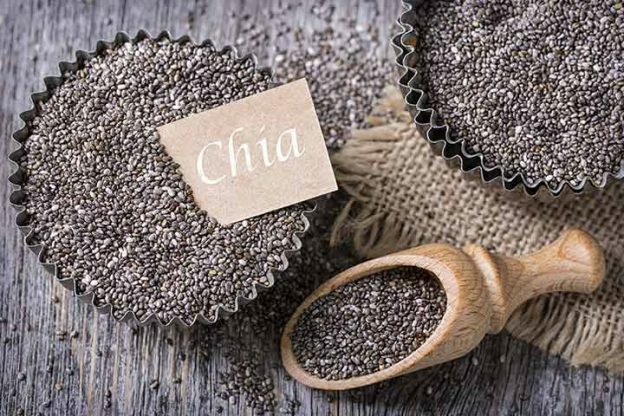 Can I eat chia seeds during early pregnancy? Yes, you can eat chia seeds anytime during pregnancy. They supply the required nutrition and calories. 2. Can you eat raw chia seeds? Yes, you can eat raw chia seeds, but they could be hard to swallow because of their dryness. Chia seeds have been considered to be one of the super foods that offer numerous benefits for the pregnant mother. However, the research about their effect and safety is quite limited. Therefore, it is always good to consult your healthcare provider before including them in your pregnancy diet. How do you like to consume chia seeds? Share your ideas and recipes in the comments section. 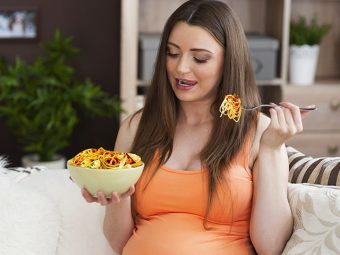 Is It Safe To Eat Fenugreek During Pregnancy? 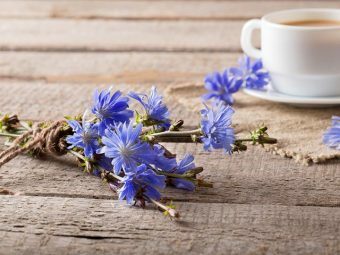 Is It Safe To Eat Chicory During Pregnancy?